WPFD and Ferndale Crimewatch in the news. Great story about why you need the best possible address sign to help us find YOU in an emergency. Contact Marcella at the Ferndale Crimewatch to order your sign before she runs out. Apparently all of central Arkansas is about to order our fancy red signs that no one else sells. Call 501-912-4211. Well, it happened again today. Someone dials 911 and we cannot quickly find the address for which we were dispatched. It is kind of frustrating to find multiple driveways/ roads and several are missing or have obstructed address numbers for each. Imagine if you called for help and the one thing that got us to your door was a good set of address numbers. Even if your numbers are perfect, what if we are delayed because your neighbor’s address numbers were missing, incomplete, or barely visible? And, what if we went to the wrong address while searching for the correct one? We can lose minutes when seconds count. YOU can help us help YOU in an emergency by having great address numbers posted. YOU can also help us get a little further down the road when we respond on your street by ensuring YOUR numbers are effective and visible from any direction of travel. And don’t let a neighbor drag down your neighborhood, either. If someone nearby needs some address improvements, help them get with the program soon so it benefits everyone in your area! Not sure what works best? Respond to this post with your comments or questions. Need a great address sign to fix any problem? Reach out to Marcella at the Ferndale Crimewatch (501-912-4211) today for a good deal on a great sign for your driveway, fence, gate, or home. 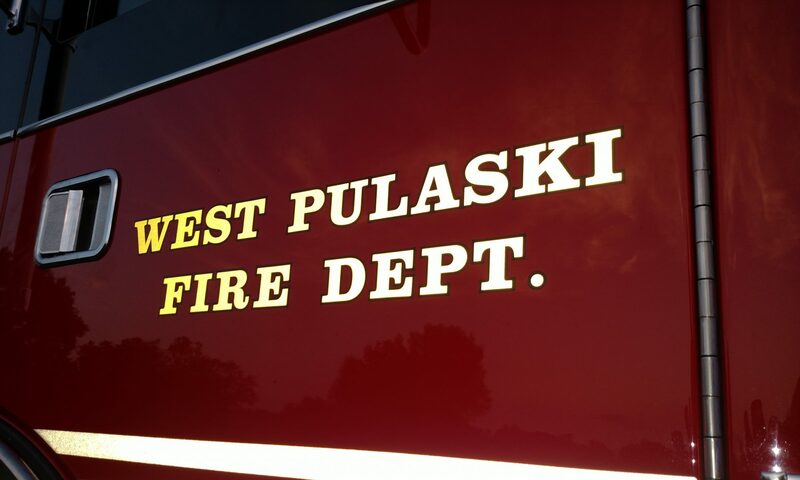 The popular high visibility red signs seen all over our fire district are only $15! Already got a great set of numbers? Show us a pic of what you got! Share here!